This is a data hub developed by our engineers that receives information sent by wireless sensors on the LoRa® network. 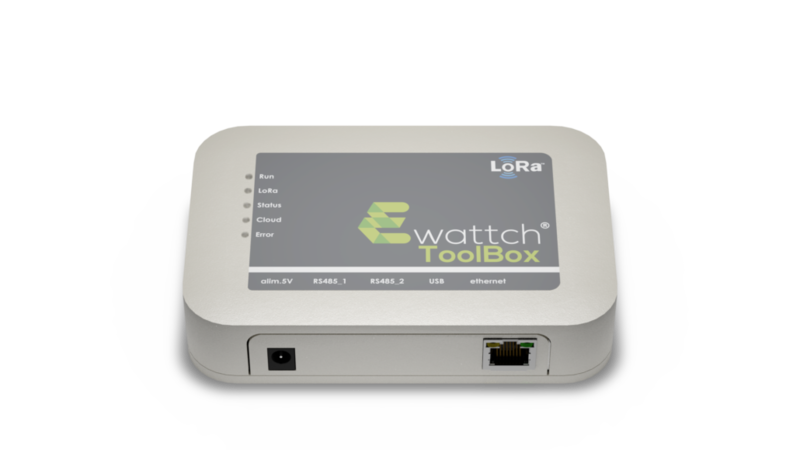 The ToolBox then transmits the data over the Internet, via Ethernet or GPRS, to the EwattchCloud server, or a third-party server. Sends data to the www.ewattchcloud.fr platform or a third-party server. TOOLBOX-ETH: Toolbox without accessories communicating via Ethernet only. TOOLBOX-ETH-GPRS: Toolbox without accessories communicating via Ethernet and GPRS.